This Online Pre-Registration Form is for clients who have already scheduled an appointment for in-hospital boarding of their pets. Completion of this form does not guarentee a boarding appointment, to schedule a boarding appointment for your pet please call 215-721-6989. All attempts will be made to honor requests for drop off times though hospital staff with call to confirm your official drop off time. If you are boarding multiple pets, a pre-registration for EACH pet must be completed. Thank you for taking the time to complete this form as it speeds the intake process and reduces the time necessary while dropping off your pet. If you have any questions do not hesitate to call the office. What allergies if any does your pet have? What if anything does your pet like to chew? If yes, what belongings will be left with the pet? In the unlikely event that your pet has a life threatening event during their boarding stay which may result in respiratory or cardiac arrest, the next step in resuscitation requires extraordinary care including cardiopulmonary resuscitation (CPR), endotracheal intubation, emergency medications and critical care. Even the most successful CPR may not restore them to good mental and physical health. These services also will require considerable time and effort as well as substantial cost. Authorization for life-saving care must be given prior to admission to alleviate confusion should this extremely unlikely event occur. When authorizing care, it is important that you understand that you are acknowledging and assuming full responsibility for the costs incurred for the resuscitation regardless of their survival. Do Not Resuscitate orders will be honored at the client's request. Additional services are not covered under the prevailing daily boarding rate. Services such at nail trims, vaccines, lion cuts, grooming or other add-ons will be billed at regular hospital rates and the owner will assume full financial responsibility for said services. Pricing and estimates will be provided when the pet is dropped off and all requests for additional services will be confirmed. Our staff will do everything possible to accomodate your request for a drop off times for your pet but please understand that these times are based on hospital schedule availability and technician scheduling. 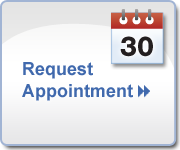 You will receive a phone call from a hospital staff member confirming your drop off time, this will be a 10 minute appointment with a technician to review your form and any questions you may have as we process and check in your pet. Pets must be picked up during normal hospital business hours, Monday through Friday from 9:00 am to 7:00 pm and Saturdays from 9:00 am to 1:00 pm. Pets are not available for pick up on Sundays or Holidays. Please call the office if you have to change your anticipated pick up time.